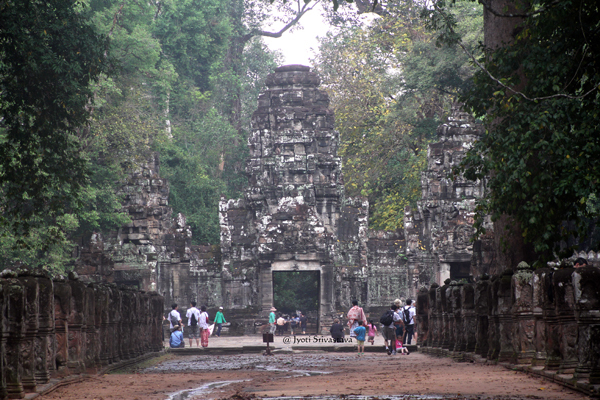 The temple was built on the site of Jayavarman VII’s victory over the invading Chams in 1191. 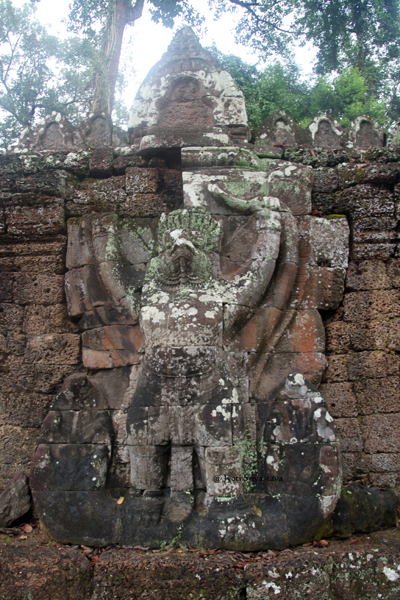 The temple is dedicated to Jayavarman VII’s father. The main image, of the bodhisattva Avalokiteśvara in the form of the king’s father. 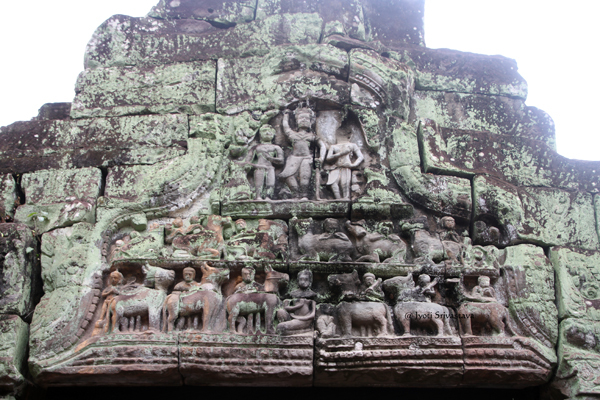 As such it forms a complementary pair with Ta Prohm, which was dedicated to his mother. Road to Preah Khan / Siem Reap, Cambodia. 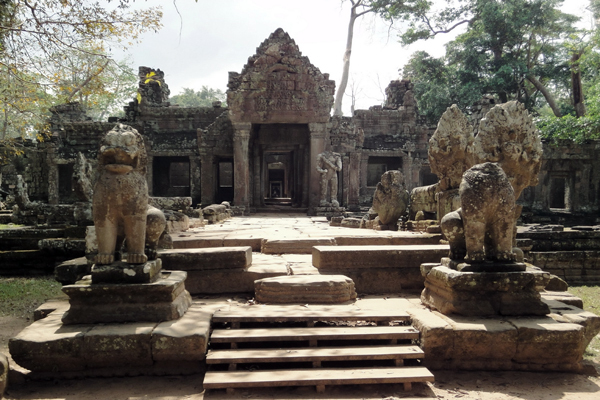 The Preah Khan is oriented toward the east, so this was the main entrance, but there are others at each of the cardinal points. 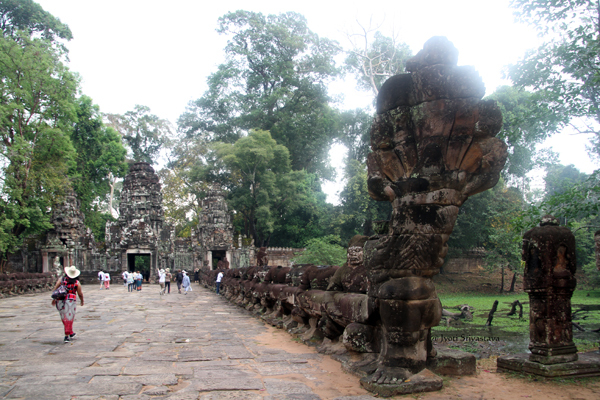 Each entrance has a causeway over the moat with nāga-carrying devas and asuras similar to those at Angkor Thom. 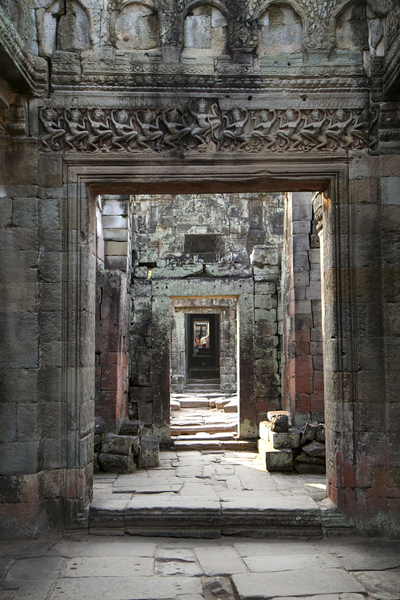 Entrance – Preah Khan / Siem Reap, Cambodia. 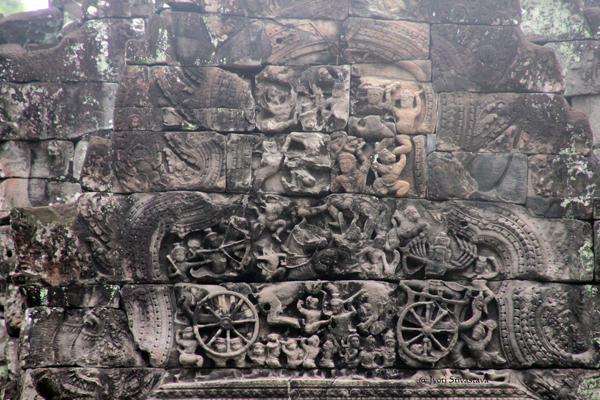 Garudas holding nagas / Preah Khan / Siem Reap, Cambodia. 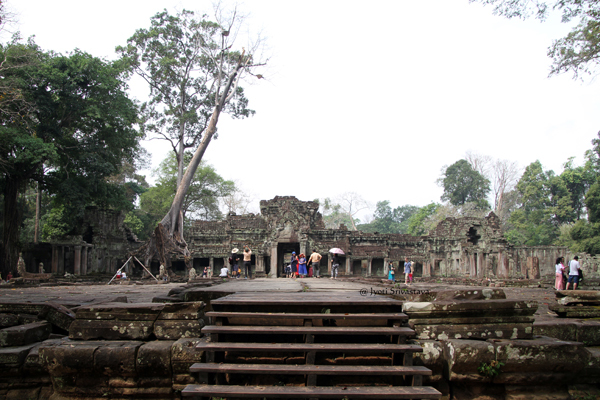 Preah Khan / Siem Reap, Cambodia. 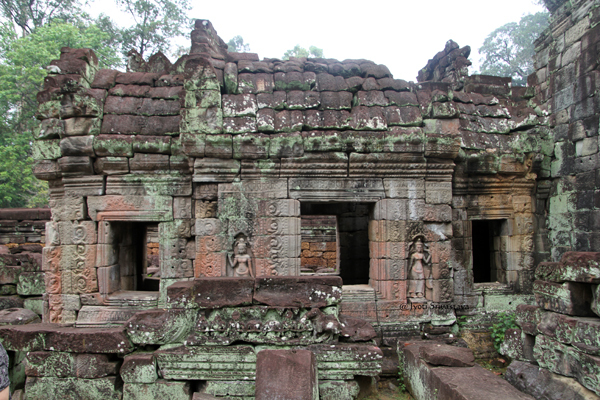 Dwarapala -Preah Khan / Siem Reap, Cambodia. 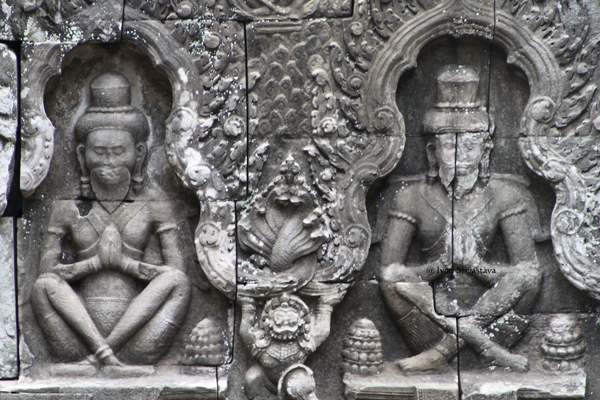 Finely carved sculptures -Preah Khan / Siem Reap, Cambodia. 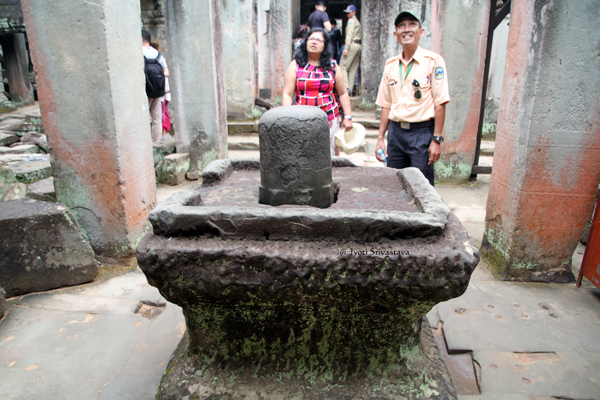 Shiva Linga – Preah Khan / Siem Reap, Cambodia. While the main temple was Buddhist, these are statues dedicated to other deities like Shiva and Vishnu and also previous kings and queens. 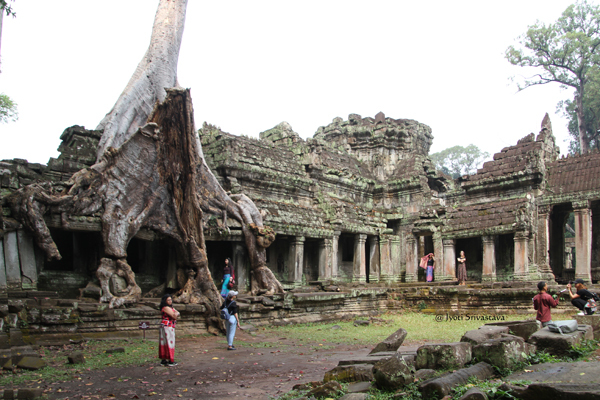 Hermits – Preah Khan / Siem Reap, Cambodia. 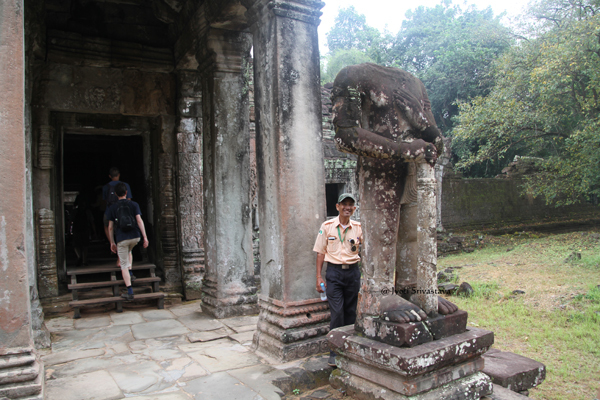 Hermitsm, and Garuda with Naga, – Preah Khan / Siem Reap, Cambodia. 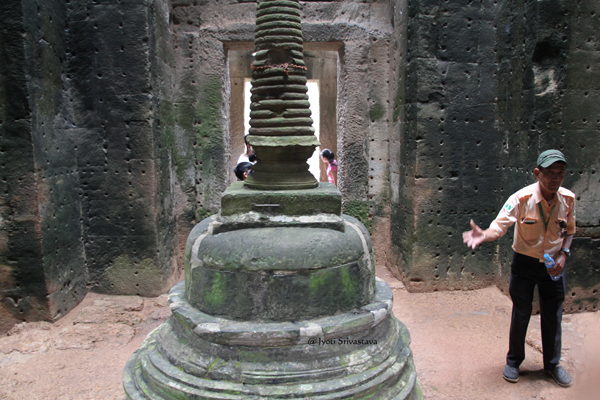 Stupa – Preah Khan / Siem Reap, Cambodia. 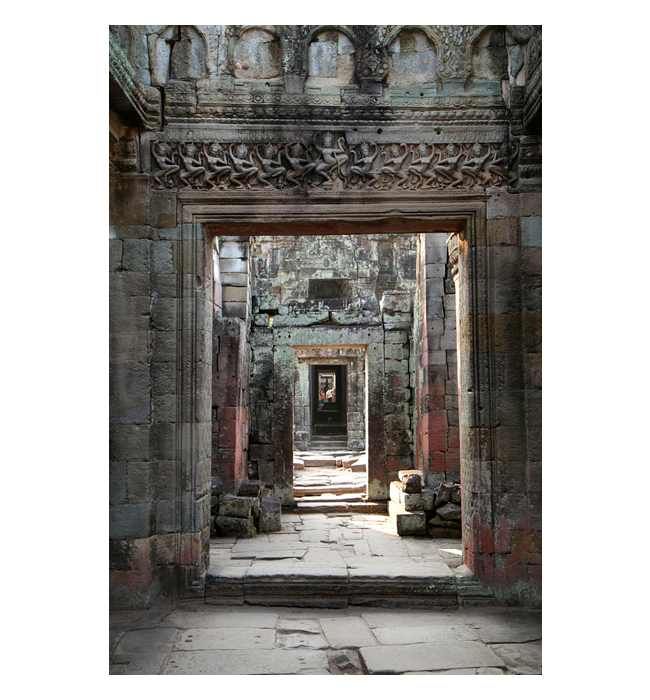 Hall of Dancers – Preah Khan / Siem Reap, Cambodia. 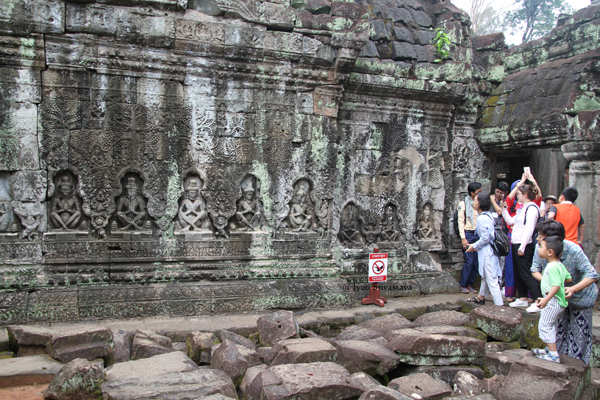 Hall of Dancers: The walls are decorated with apsaras; Buddha images in niches above them were destroyed in the anti-Buddhist reaction under Jayavarman VIII. 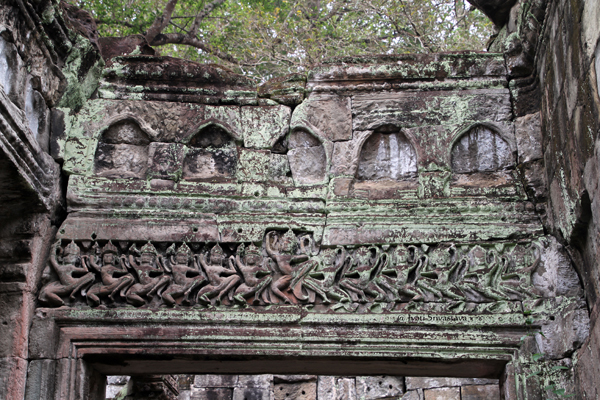 North of the Hall of Dancers is a two-storeyed structure with round columns. 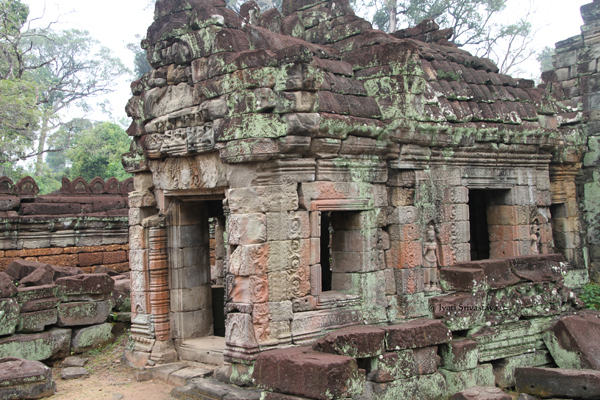 No other examples of this form survive at Angkor, although there are traces of similar buildings at Ta Prohm and Banteay Kdei. 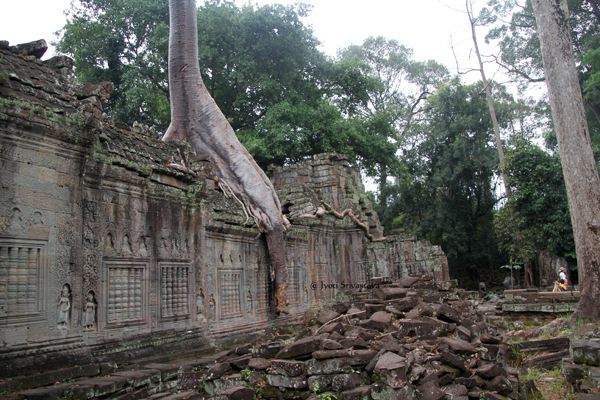 Ruins of library – Preah Khan / Siem Reap, Cambodia.